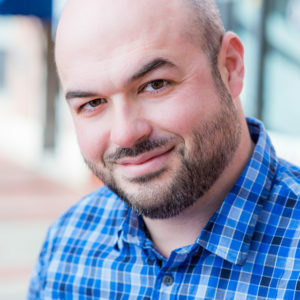 Len Damico is the Head of Design at Arcweb Technologies, a digital product design consultancy in Old City, Philadelphia. At Arcweb, Len leads a team of designers who make software that is easy to use, aligned with business goals, and as delightful as it can be. Over the course of his career, Len has led mobile initiatives for companies like Chase, DirecTV, New York Life and The Company Corporation, as well as helping companies like Capital One and Zonoff make better software for their internal users. Prior to joining Arcweb, Len spent 12+ years in advertising, leading multichannel marketing efforts for Barclaycard US, the Delaware Lottery and Sallie Mae and winning several regional Ad Club and Addy awards. Len live just outside of Wilmington, Delaware, with his wife and two sons.